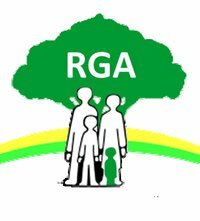 Giving your time to fundraise for RGA UK is a rewarding and fun way to help us create a better society for people with dwarfism and their families. Whether you want to run a marathon or hold a cake sale or you’re not sure what you’d like to do yet, we can help you. There are all sorts of ways you can fundraise for us via Virgin Money Giving. Click on the image below for some ideas and to get started raising money for RGA UK.